That’s what a group of researchers suggest in a paper recently published in Behavioral Ecology. Songbirds may congregate in urban areas more than you’d expect. And it’s not just for the free rations of birdseed. The scientists, who studied bird populations in Europe and China, speculate that urban areas may have some appeal for passerines that rural areas otherwise lack. And that appeal is relief from the threat of brood parasitism. Birds like cuckoos, who lay their eggs in songbirds’ nests, and whose young then off the hosts’ own chicks, tend to avoid cities. This may help songbirds successfully raise their families without worrying about invaders. 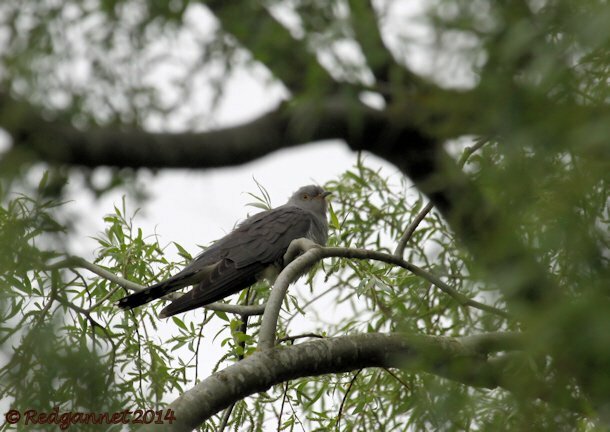 Further, the researchers add, just as cuckoos (like the Common Cuckoo above photographed by Redgannet) display a tendency toward skittishness around humans, so too do songbird predators such as raptors. Smaller birds are much more likely to tolerate a human presence. This part of the theory doesn’t entirely jibe with the growing numbers of, say, Peregrine Falcons that make skyscrapers and urban bridges their home, but it’s interesting to contemplate nonetheless.